What is Money Marketing Interactive? Money Marketing Interactive returns following the successful launch of our flagship conference last year. For those who missed it, MMI is all about delivering Money Marketing in a live format and bringing advisers together to debate how best to evolve the advice profession. Aimed at giving advisers the information and insight they need to better run their businesses, MMI will mix high-level debate with sessions on compliance, technology, tax planning and investments. Advisers can choose from over 20 sessions including workshops and one-to-one advice clinics to tailor their day to best suit their needs. Our keynote panel will feature Financial Services Compensation Scheme Mark Neale and Financial Ombudsman Service principal ombudsman Richard Thompson discuss good and bad practice examples of dealing with complaints and claims about unsuitable advice, plus lessons from collapsed firms. Advisers will also have the opportunity to grill these senior regulators about issues such as the FSCS funding review, and the rationale behind FOS decisions. How do you win over prospective clients? And how do you convey the value of advice and the quality of your service without getting mired in onerous suitability disclaimers? Informed Choice’s Nick Bamford challenged advisers to come up with the answer, and will use this session to reveal what he learned. He will be joined by Yellowtail Financial Planning managing director Dennis Hall and MM columnist and BBC Radio 4’s Moneybox presenter Paul Lewis, who is well known for firing up the charges debate. The rise of the robos does not have to be to the detriment of face-to-face advice. In some cases, technology can boost an advice firm’s offering and help boost your core client base. Here we examine the role of automated advice versus face-to-face, how technology is being used effectively in advice businesses and getting the various day-to-day tech systems to talk to each other. In this session, advisers will be able to debate the ongoing shake-ups to pension policy and share ideas on how best to cope with pensions as the perennial political football. 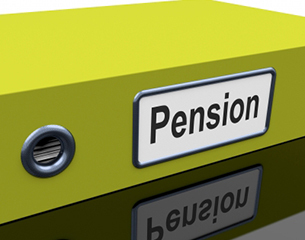 In this wide ranging session topics to be discussed include what clients are really doing with their pension pots post-pension freedoms, coping with the surge in DB transfers, and a progress report of the Lifetime Isa. Panellists include Intelligent Pensions managing director Steve Patterson, Aviva head of financial research John Lawson, and Aspect8 chartered financial planner Claire Walsh. Advisers are good at reassuring clients amid the market noise. Yet there is a need to stay informed in order to best field client queries, as well as knowing how your advice business will be affected by the bigger market picture. Here investment heavyweights will examine issues as what the Brexit talks mean for advisers, the impact of President Trump and the road to the general election. Panellists include Investment Association chief executive Chris Cummings and Wealth Management Association deputy chief executive John Barrass, the trade bodies lobbying for a good Brexit deal for financial services, plus a mystery guest. Money Marketing Interactive is being held on 18 May at Etc Venues, County Hall, London.